In a recently issued Tax Court case, Judge Mark Holmes rendered a decision that may be the most thorough judicial analysis of the law surrounding “love gifts” for pastors that has ever been published. In a colorfully written opinion that cited nearly as many Bible verses as legal authorities, Judge Holmes seemed to empathize with Pastor Wayne Felton and his wife, Deondra. Pastor Felton was pastor of Holy Christian Church in St. Paul, Minnesota during the years at issue – 2008 and 2009. In each of those two years, Pastor Felton received from members of his congregation more than $200,000 that he considered nontaxable gifts for income tax purposes. 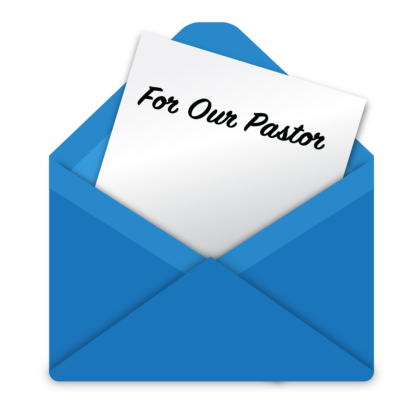 Congregants used special “blue envelopes” to indicate that their gifts were to go directly to the pastor and were not to be considered tax deductible contributions. Congregants were also permitted to direct contributions to Pastor Felton by using “white envelopes” and marking them to indicate a portion of their gift as “Pastoral.” Gifts made using the white envelopes were considered by the church to be tax-deductible contributions, and Pastor Felton treated the amounts he received via the white-envelope contributions as taxable income. The facts of the case indicate that the church did not pay Pastor Felton a salary. It did, however, relay the blue-envelope “gifts” to him, along with the white-envelope contributions and a clergy housing allowance of about $80,000 per year. Pastor Felton prepared and filed his own tax returns for years 2008 and 2009…but only after the IRS contacted him. His position on the matter was that gifts are not taxable income and the amounts he received via the blue envelopes were gifts. The IRS’s position was that the blue envelope amounts given to Pastor Felton were given by congregants because of his service as a pastor and were, thus, taxable income to him. In addressing the core issue, Judge Holmes cited numerous Bible references and provided a very thorough analysis of applicable law, relevant cases, and other authority (including reference to a case in which a minister was criminally prosecuted for failing to recognize love gifts as taxable income). Judge Holmes noted that the law in the area of gifts for ministers is not abundantly clear. In the end, however, he agreed with the IRS’s position. And not only did the Court rule that the blue-envelope “gifts” were taxable income to Pastor Felton, the Court agreed with the IRS’s assessment of penalties…including a stiff 20% penalty for “substantial understatement” of income. For those interested in the tax treatment of love gifts for clergy, the case makes for very interesting reading. We have provided a full copy of the opinion here. If you are a BMWL client and would like assistance addressing the information described in this Nonprofit Special AlertSM, we would be glad to help! It is our pleasure and privilege to serve you. The contents of this publication do not constitute legal, financial, accounting, tax, or any other type of professional advice. For professional advice regarding the subject matter addressed herein, the services of a competent professional should be obtained.